In the morning, we leave Canada and cross the border at Buffalo, into New York State, also known as the Empire State. In the afternoon, we will shop at one of the most well-known factory outlet malls in North America, where your can purchase designer and brand name apparel and personal goods at discount and wholesale prices. In the morning, we are off to exciting Manhattan. First, we will take a scenic cruise (optional admission) to view the breathtaking Manhattan skyline, Liberty Island, and the Statue of Liberty. 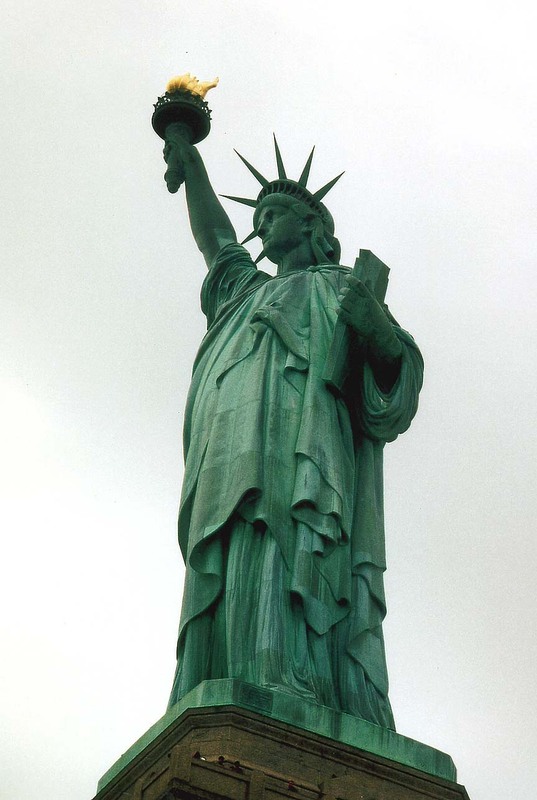 The Stature of Liberty was originally presented in 1886 as a token of international friendship between France and the United States. It has now become a global symbol of freedom and one of the most famous landmarks in the United States. We will then return to Manhattan, and continue our tour by taking you through the Wall Street Financial District, Fifth Avenue, Chinatown, and the theatre district of Broadway. Day 3: ATLANTIC CITY -- PHILADELPHIA -- BALTIMORE -- WASHINGTON D.C.
Brotherly Love” include the Liberty Bell, Independence Hall, the former Capitol Building, and the National Independence Park. We will then travel to Baltimore, Maryland, the place where the U.S. national anthem was first sung. We will stop at the Fisherman’s Wharf for photos. Later on in the day, we will arrive at the national capital of the United States ? Washington D.C. The city is named after the first American President, George Washington, who helped select the site of the capital in 1790. We will visit many impressive sights and the city’s major attractions, including the White House, Capital Hill, the Smithsonian Institute, the Lincoln and Jefferson Memorials, the Washington Monument, and much more. We will start our wonderful day by visiting the underground caverns of Penn’s Cave (optional admission). This U.S. Geological National Landmark has been underneath the ground for four millions years, awaiting your discovery. We will then drive to Corning City, and visit the Corning Glass Factory and Museum (optional admission). You can also pick up some Corning souvenirs and kitchenware. We will stop at the Duty Free Shop before we arrive at Canada Customs. We will arrive in Toronto in the evening, concluding our journey.